L.A.S.T Step Before the Knife: - Patrick Sullivan, M.D. L.A.S.T step before the knife. 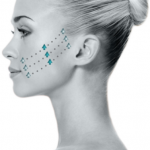 Dr. Sullivan’s L.A.S.T treatment provides a natural enhancement without the use of a scalpel. He has found a bridge between injectable treatments and the scalpel and our patients are raving about it. 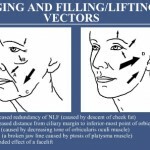 Lift: The Silhouette InstaLift™ probably only gives about 20% of the result but it is needed if there is extra skin or skin folds that need to be addressed. Addition: The person’s own fat is harvested with the instruments Dr. Sullivan developed. He is able to remove fat from the patient’s thighs through only a tiny opening rather than an incision. The fat is treated to save the important fat cells with their associated stem cells. The person’s own cells are then carefully placed in areas of the face to artistically build a better facial shape for the patient. Subtraction: Jowls and fatty deposits can be removed (Subtracted) with our newly designed instruments that are so small and delicate that no knife is needed and no sutures are necessary. Toning: The face has improved tone with this combined treatment. The Silhouette InstaLift™ has definitely captured the attention of many – we receive inquiries for this procedure daily and are happy to share our knowledge and experience on the treatment! It’s a great option but there are a limited number of patients who are good candidates for the Instalift™ treatment alone. Using the techniques he has become so well known for, Dr. Sullivan is able to now shape, contour and lift the face in certain patients without the more extensive procedure. For more information on this procedure or to find out if you’re a candidate for this treatment please contact our office at 401.831.8300. 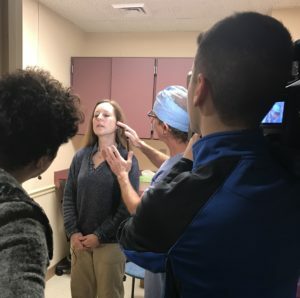 You can also see our feature on NBC10 for a behind-the-scenes look into this procedure.